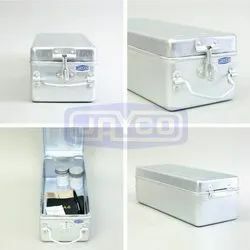 Our organization is offering Multipurpose Tool Case to our clients. 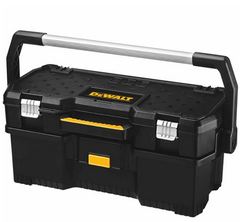 Our products Multipurpose Tool Case are available as per the international industry standards and in various sizes. We source the products from professional manufacturer and known for their best quality. Customers can avail products from us as per the latest trend. Available Size: 7" & 10", 7" & 12" or 10" & 12"
With through domain understanding, we are betrothed to provide Multi Purpose Tool Bag to our prestigious clients. - This Mini card size multi utility kit is easy to put in pocket made of quality stainless steel. - Comes with its own carry case. Ideal for service engineers. Manufactured from a 600 denier fabric that is exceptionally durable and hard wearing. With large internal compartments (one padded for a laptop), pockets and elasticated tool holders it will help to ensure you have the right tool on site when you require it. We are involved in offering a wide range of Tool Case in the market. In addition to this, these products are manufactured from best quality components. We are indulged in offering Multi Purpose Power Tool to our clients. Our Multi Purpose power Tool is one of the preferred products purchased by our precious clients for its features like reliability, durability and compact design. This tool is available at a reasonable price.